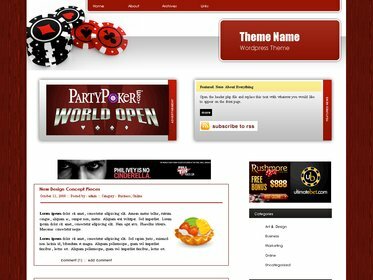 These backgrounds will make any web page look more eye-catching, just like the ones you’ve seen on Partypoker, and the other card game sites on the Internet. Here are some of the most popular themes that you can choose from. Let your thoughts pour as you take inspirations from these designs, which will entice your audiences to give the tables a try. 1. 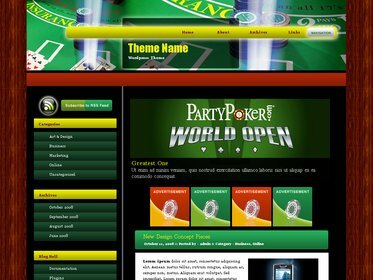 It is very easy to install, has a fixed width, and a 3-columned Party Poker theme from plannetworld. This has been tried and tested on the latest WordPress versions, as well as on all major browsers. 2. Emerald Casino, designed by Themes Junction. It’s widget-friendly, with a fixed width as well as two sidebars on the left side of the page. 3. If you’re looking for a 3D-inspired design, you may want to give the 3D Poker background a try. 4. Ladies, you’re not forgotten. 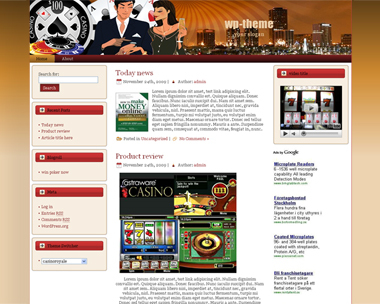 There’s a lovely design with an Asian theme tied to your poker background needs. 5. Some may prefer a more colorful theme, compared to the classic green felt on the table (by marisol ). Check out these awesome Poker-3D Chips designs. They come in vibrant red schemes, as well as some 3D chips that would make your website come alive. 6. Are you looking for a classic, or a more traditional theme? 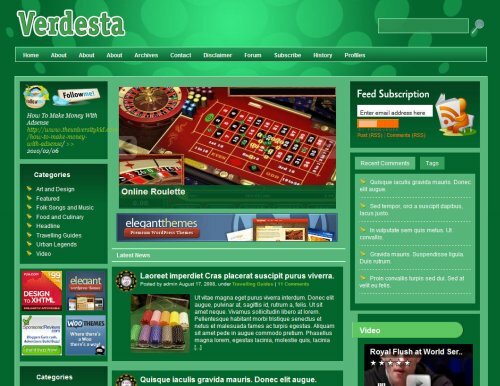 The colors and layout of Verdesta may be your perfect match. 7. Stacks of chips in the colors of the suits? Why not? 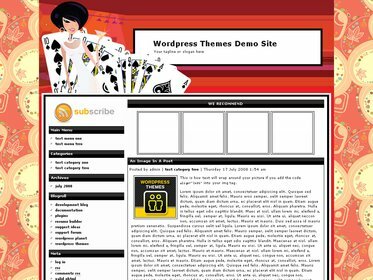 Download this Kawaii theme and give your blog site a more dashing personality. 8. Bring the bright lights of Las Vegas to your online abode by using this background designed specifically for those who love the Sin City. 9. Show your winning hand by displaying these two sets of Royal Flush on your page. 10. Are you feeling adventurous? Why not display your James Bond side by installing the Casino Royale theme? 11. 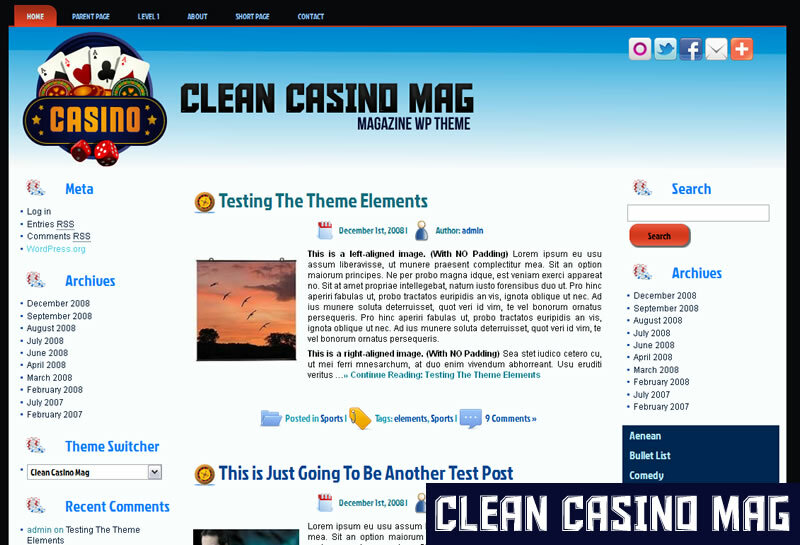 Turn your blog into an e-Zine (electronic magazine) with the Clean Casino Mag background. 13. Another one for the ladies. 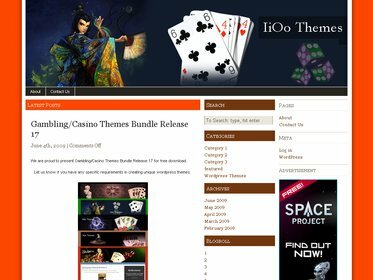 The Online Casino Template 308 is perfect for those who like writing about poker and fashion. 14. 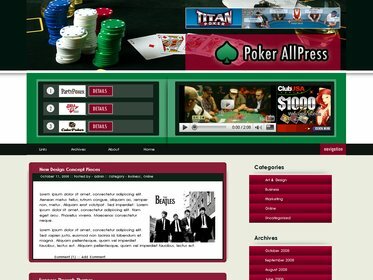 Affiliate casino reviews and videos on top of your regular posts will fit nicely when you use the Poker-All Press theme. 15. Foxy players and writers, you may want to peek at the next big thing on the blogging runway. 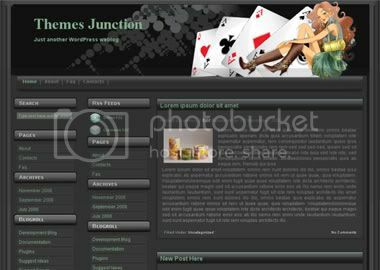 The Lucky-zone theme is sure to attract audiences with its simplicity and easy to read fonts.